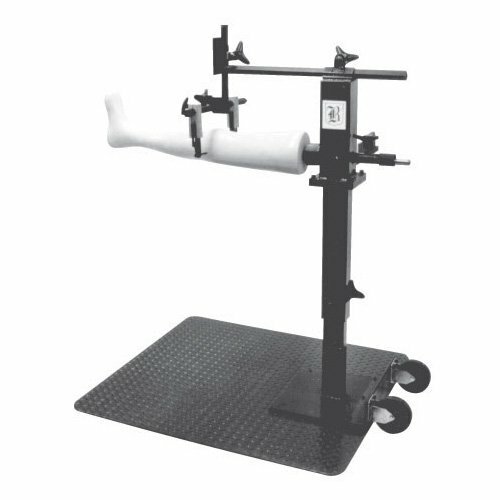 The Orthotic Workstation was developed to provide a tool to increase productivity and accuracy in fabrication. It provides the ability to contour sidebars while maintaining the exact alignment desired. The set collar allows return to alignment even if the cast is removed or delayed in fabrication. There are various gradations on the workstation so you may record alignment position. Avialable in three different variations.